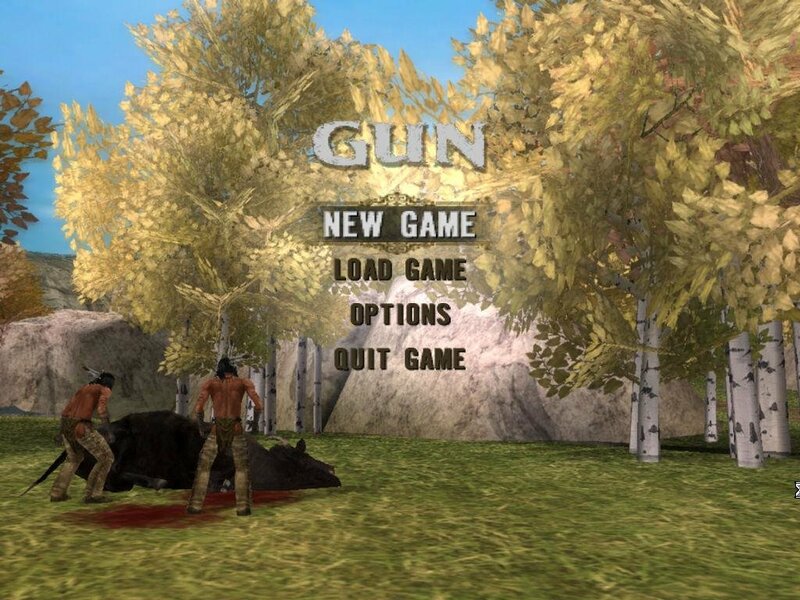 In a world of generic shooters, Gun aims high and tries to bring something different to the table. 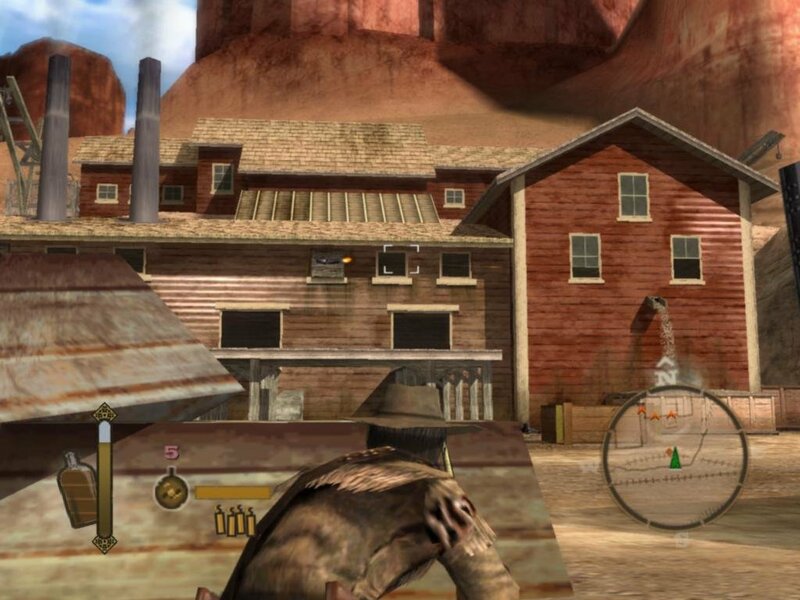 The action takes place in the old west. 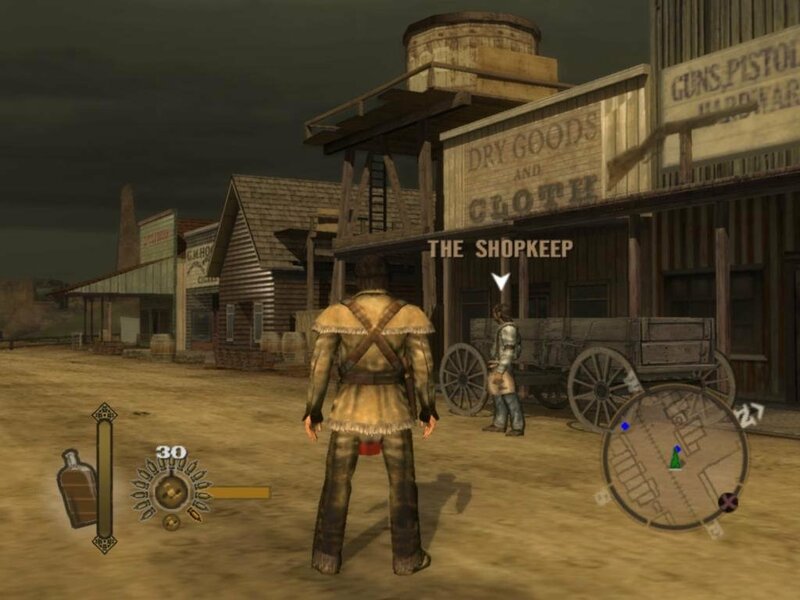 You play Colton White, a man who hunts game with his father to sell to the passing riverboats going upriver to the towns of Deadwood and Empire. 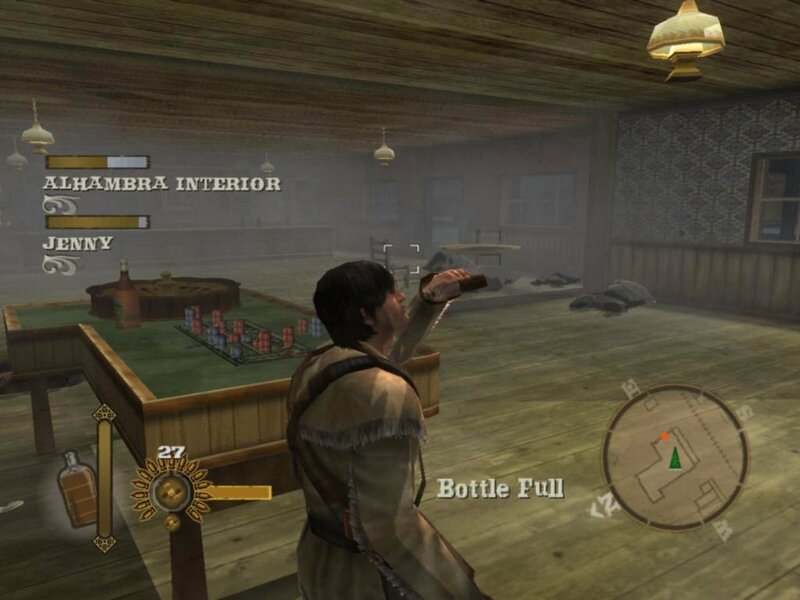 This is a clever way to get the player into the game and teach them the basics in a conventional tutorial-esque way. 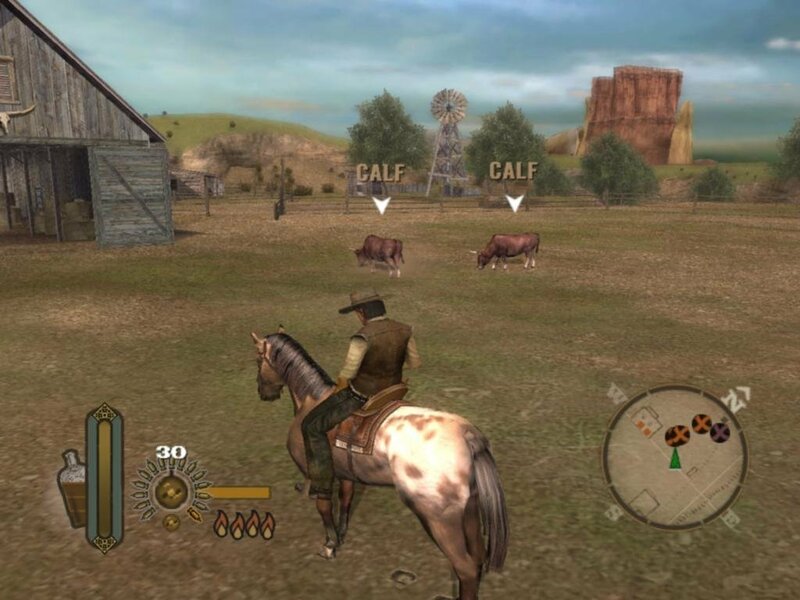 You can set the game to a difficulty level you feel comfortable with, from easy to normal to hard to insane. 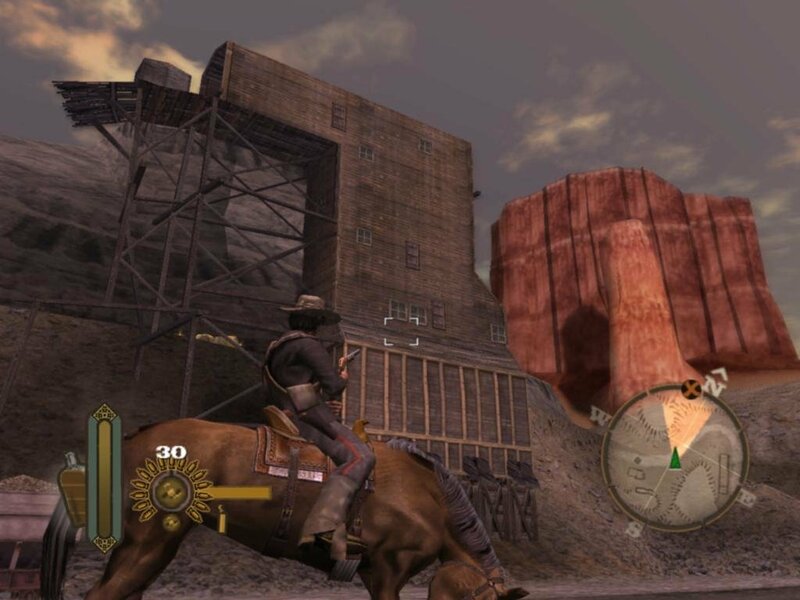 The normal level is probably best, as it offers a good challenge without being too insanely hard. 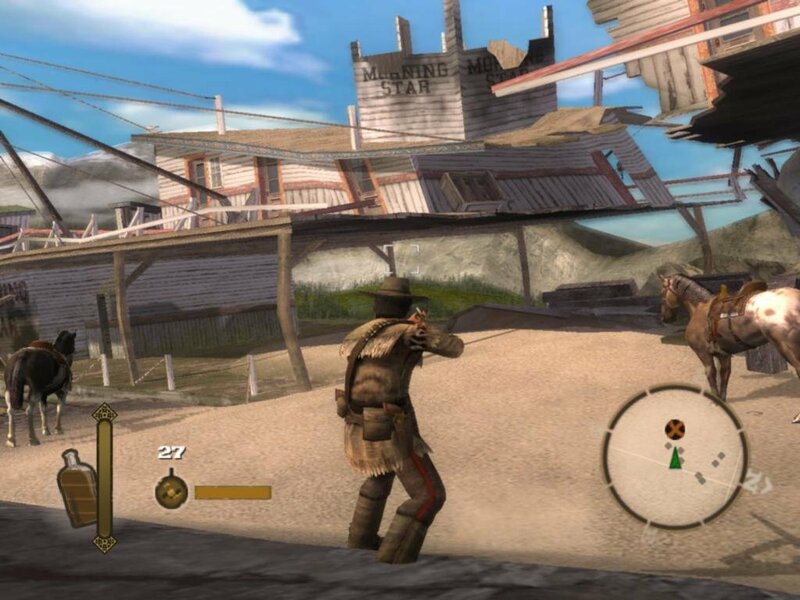 The story kicks in early, involving the quintessential western motif – revenge. 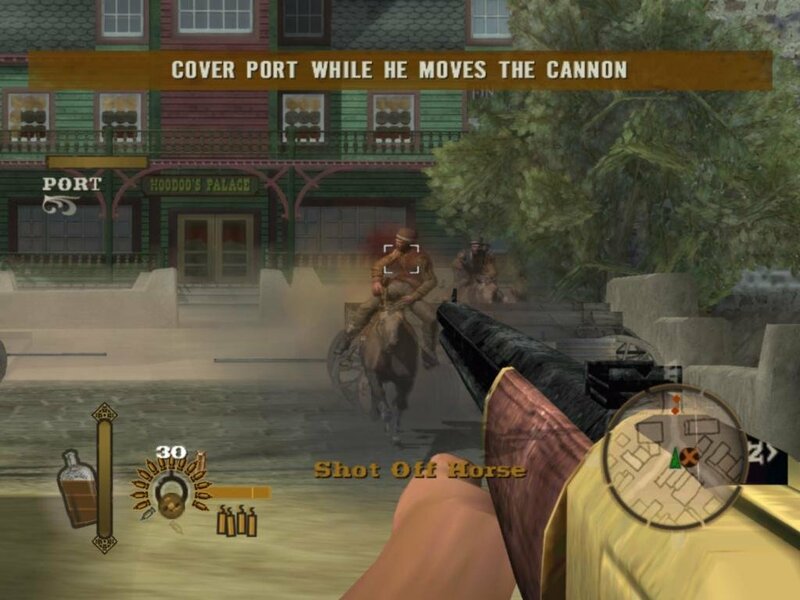 An entire game world is opened up, and Gun turns into a pretty unconventional GTA knockoff, where you earn money by performing missions, ride horses, and fight thungs and indians. 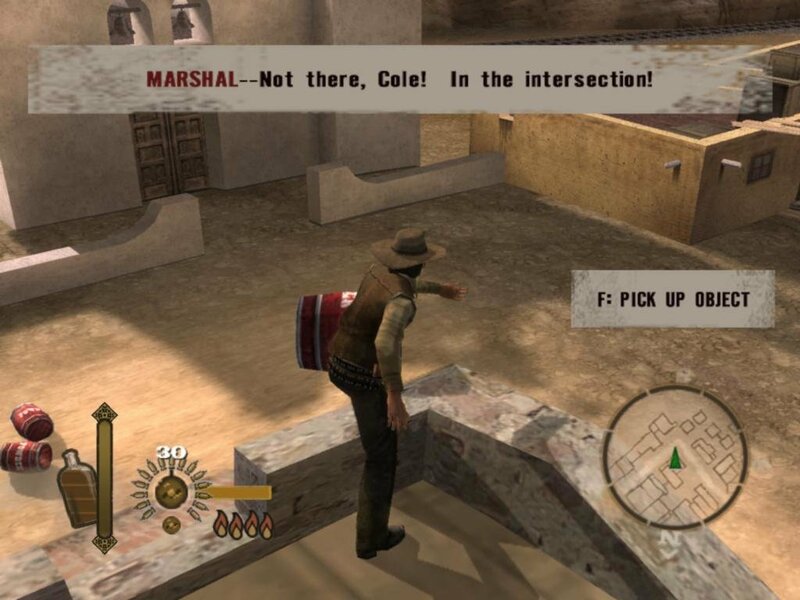 You have the option of following Colton’s storyline, but can also indulge in side quests to earn more cash and buy better stuff. 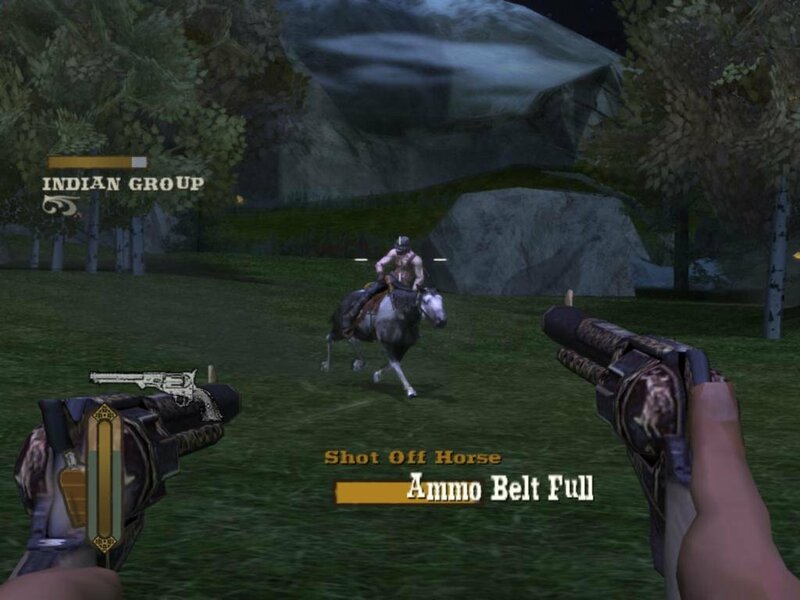 Being a console port, Gun’s controls are pretty straightforward but also allow for a few special abilities. 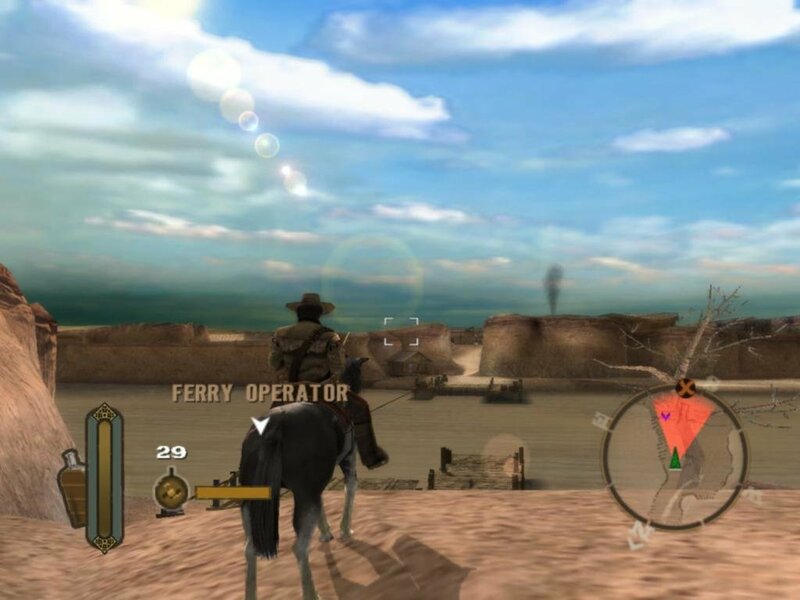 The coolest one is possibly the “Quick Draw”, which allows you to enter a slowed-down version of the world. 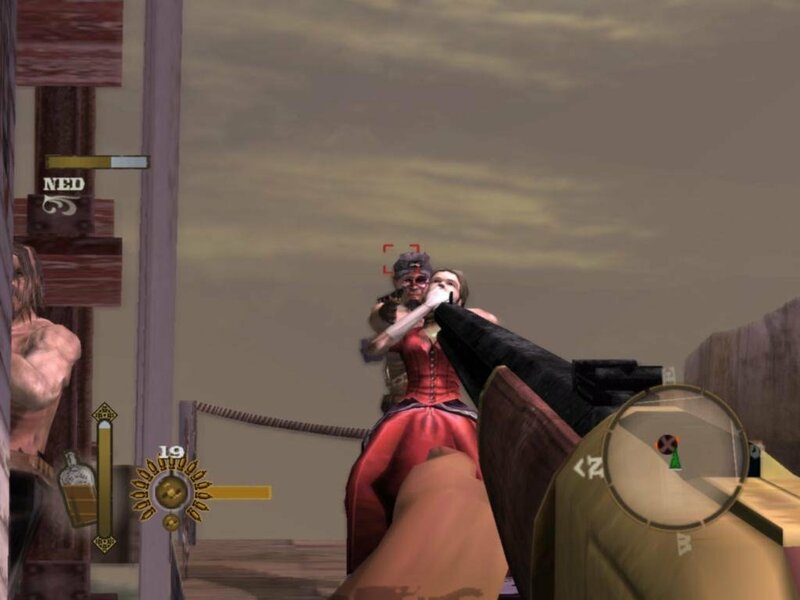 When shooting in Quick Draw mode, you get to focus completely on your enemies, without the worry of reloading under cover – the focus will automatically link onto whatever enemies are in range.You also get to use a variety of weapons, such as the sharpshooter (sniper), rifle, shotgun and even a bow during a stealth mission. 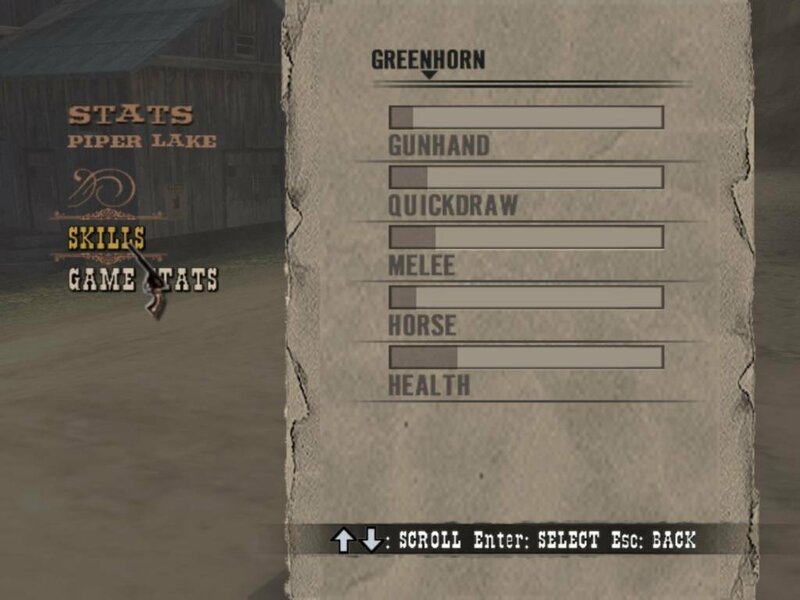 All of these weapons will auto-replace your older obsolete ones as you gain better guns or bows throughout the game, dropping off the worry of whether or not you’re using the right weapon at any given time. 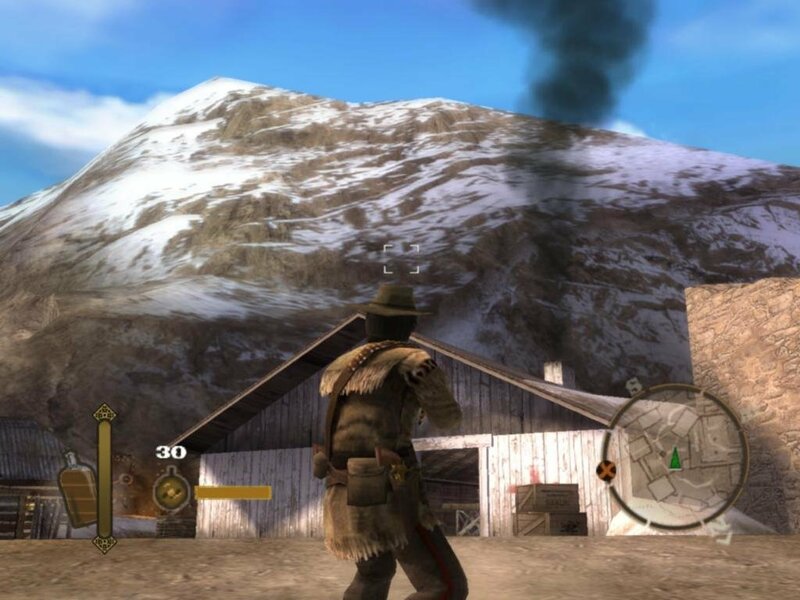 Aside from the variety of weaponry, you also get an assortment of ways to complete the game. 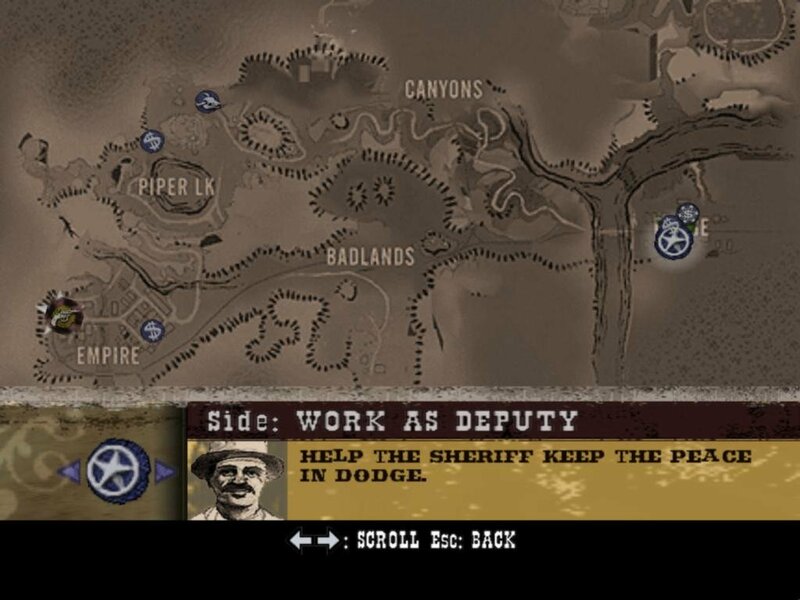 Both cities have a large set of side-quests – which remain fresh enough to avoid the ‘repetitive’ feel a lot of other games suffer – that allows you to do everything from hunt down “Most Wanted” from their posters scattered around the landscape, through being the city deputy/marshal for the day. 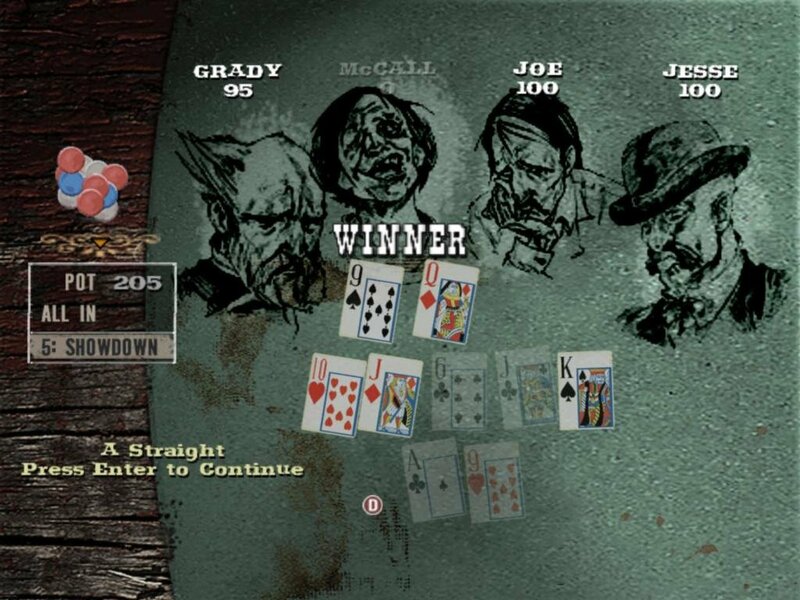 You can play poker, as any self-respecting game set in the Wild West should allow. 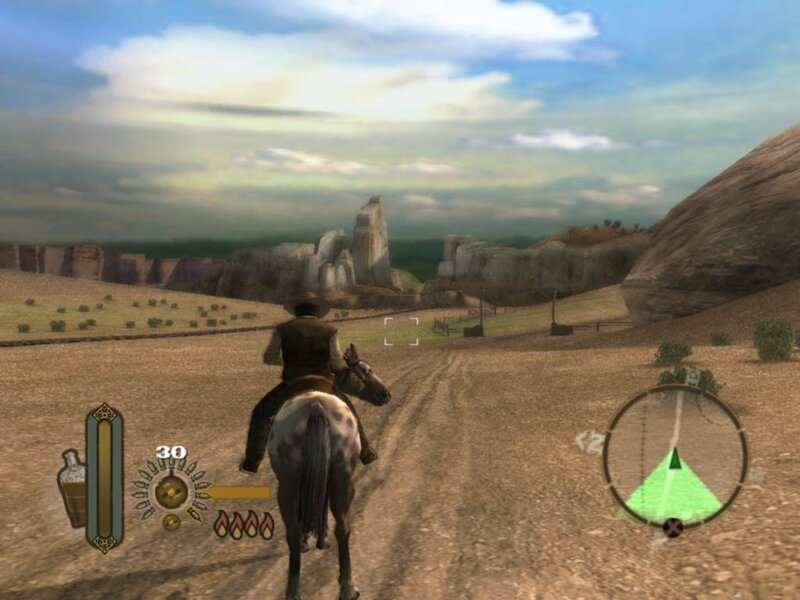 You can even take part of the “Pony Express” mission which requires you to race to different areas of the map in a given time to complete your task, sometimes even forcing you to change horses along the way to extend your time. 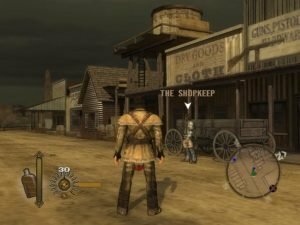 All of these are side quests, but they allow you to better your character and make the story missions more approachable. Speaking of aces, this game definitely masters its visual department. The facial models are very well done, especially in the main characters. Colton also changes his clothes, depending on where he is in the story, and his associations, making him an intriguing character to follow. The landscapes too, are highly diverse and inviting, not to mention create a large number of places for gold deposits to hide out. 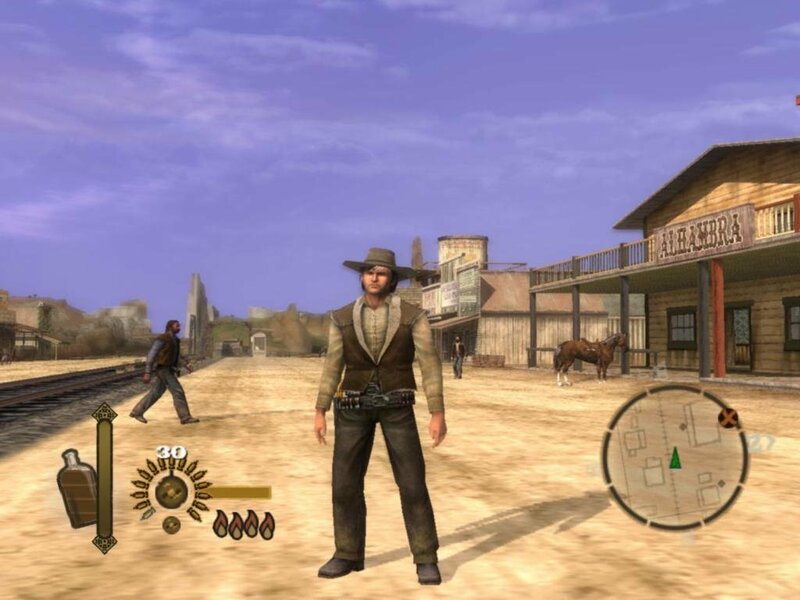 The attention to detail is found not only in the facial expressions/movements of the main character, or the nice landscape, but also in animations and textures. 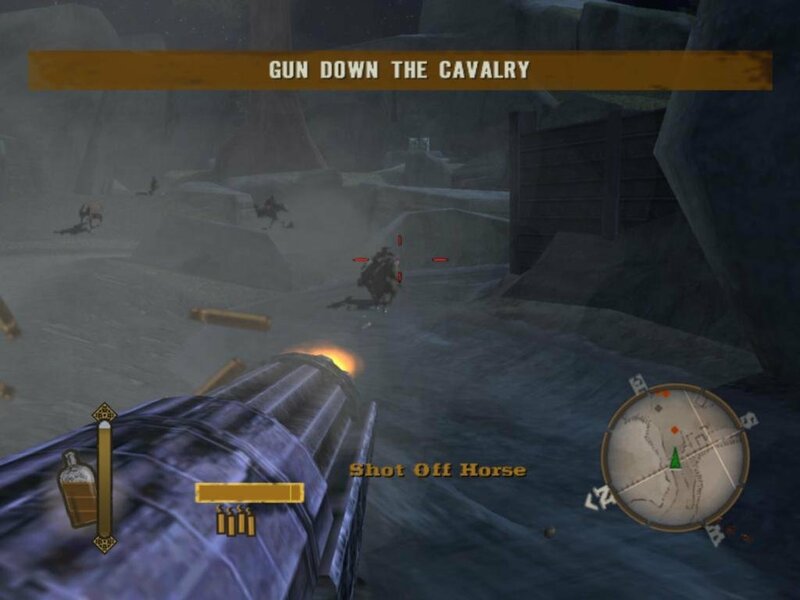 Overall, I’d say Gun is a great sandbox game to play. 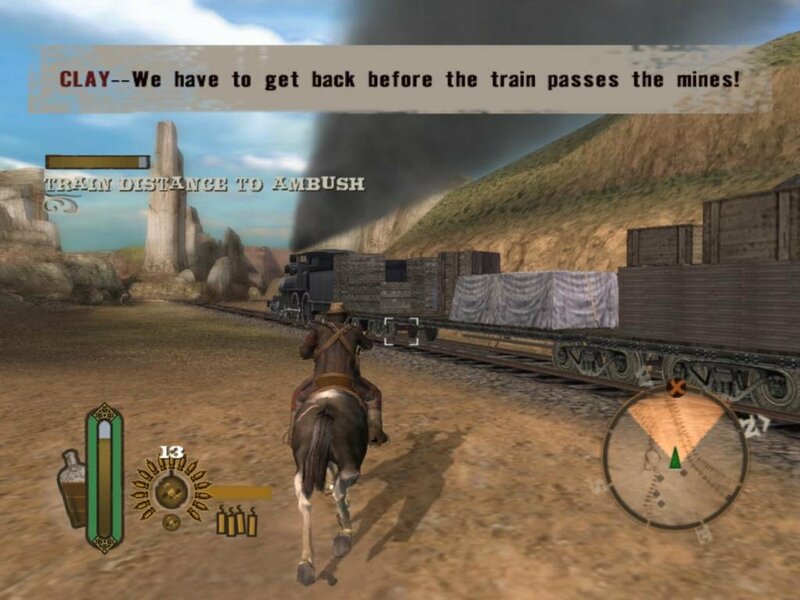 The only issue I have with it is that, even with all the side-quests (excluding your gold hunt) the game is rather short. Everything else is very nicely set together, as the entire story flows, even setting up a few flashbacks and slight twists as the story goes along. It probably won’t be as memorable as any of the more advanced GTA game, but it’s still much more than a run-of-the-mill knockoff.